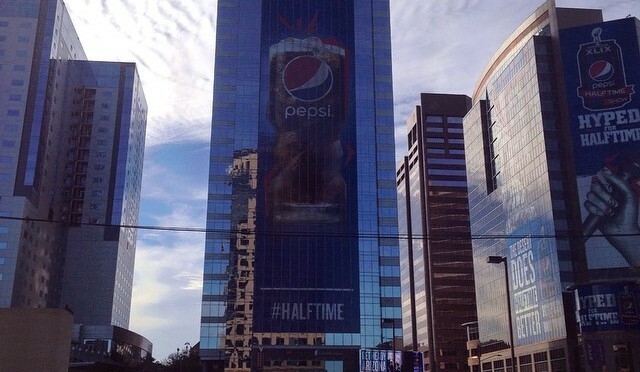 Like millions of other Americans, I watched the Super Bowl halftime show last week. I tuned in specifically to watch Lady Gaga, who I had seen twice in concert. I think she is extraordinarily talented, energetic and gives everything for her audience. I thought she delivered a stunning halftime show. Replete with a Peter Pan-like entrance, a dance troupe that seamlessly blended in and with a spectacular fireworks backdrop, the performance I thought deserved nothing but praise. Are you kidding me?! She is in fantastic shape and burned more calories in that turbo-charged performance than I do in five workouts. 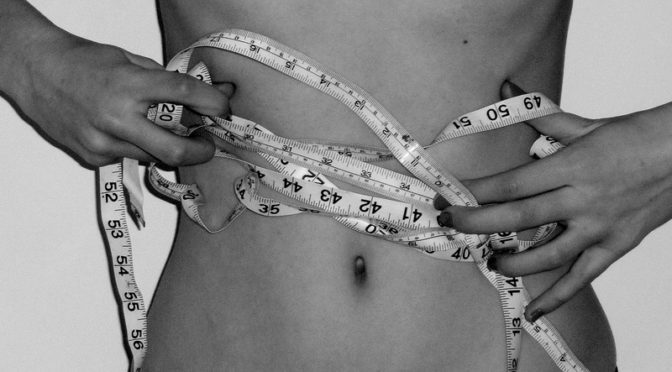 For crying out loud, I know guys who would do anything to have her flat stomach. Where do people (mostly men it appeared) get off engaging in that kind of body shaming? I am sure the men who cast those stones were just the very picture of Adonis themselves and not some middle-aged dudes who are paunchy in the poochie and could stand to shed 20 pounds. This episode speaks to a larger issue my wife brings to my attention repeatedly: the double standard that exists for men and women, and especially for actresses and female celebrities. Men can be sought in roles well into their 60s or 70s no matter how craggy their faces or saggy their guts. Somehow Hollywood and society are more forgiving of that than actresses who have the temerity (gasp!) to get older. My wife contends that many actresses somewhere around their 30s are no longer cast in starring roles after they have been judged to no longer be pretty and young. This attitude extends beyond celebrities to everyday people, in which we judge others by their physical appearances. Maybe I have a heightened sensitivity to this because I had severe acne as a teenager that defied medical treatment for years and I was judged harshly as a result. I’d like to think we’ve come a long way as a culture in 40 years. It’s time to look beyond the surface of the skin and find a connection with the person inside. 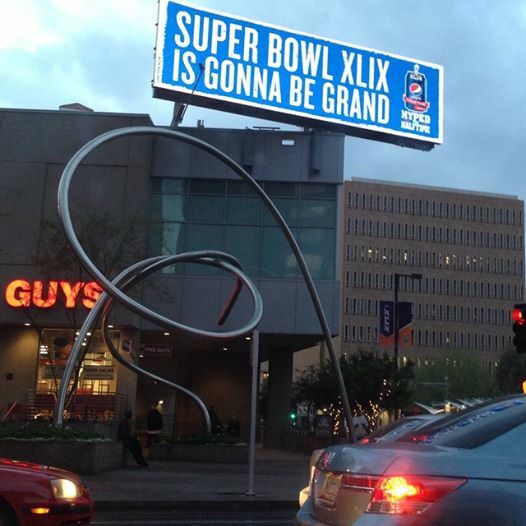 I have a friend in Phoenix who posted a photo of a huge billboard touting the 2015 Super Bowl. When I commented on her post, I said I thought “Super Bowl” was a salad-making contest. Some men bond around pro sports teams or NASCAR or outdoor recreational sports. Not me. I am the anti-hero of all things sports. They knew I was kidding (mostly) but they also knew that when it came to sports stories, be it wrestling, basketball, football, tennis, cross-country, swimming, etc., I had a million questions so I could better understand the rules and the significance of what was at stake. It’s not that I hate sports; it’s just that I am indifferent to them. I never engaged in a competitive athletic event in my life. Dodge ball in gym class doesn’t count. And high school speech and debate club contests don’t qualify either. And chess club, though cutthroat, was hardly a contact sport. I have huge admiration for athletes and their dedication and training and how hard they are willing to push their bodies for the sake of their passions (or a paycheck). For instance, I can get interested in watching some of the winter Olympics, such as the skating or bobsledding competitions, which go by quickly and have a defined time limit. Games that can drag on, like baseball, with sometimes little to show for it, tend to bore me. And other games I just don’t *get* in terms of the objectives or the rules. Take American football, for instance. Downs. Rushing. Quarters. It’s all some foreign language that I don’t speak. My wife has expressed gratitude more than once that I’m not one of those guys who is all wrapped up in sports. Yeah, it’s likely I will be watching an episode of “Downton Abbey” the night the Super Bowl is on. That’s not to say that I’m a cultural snob or that I look down on sports fans. It’s just not my bag, which I guess makes me different from a lot of guys. But just to show you that I’m not all indifferent to the Super Bowl, let me wish my favored team good luck.